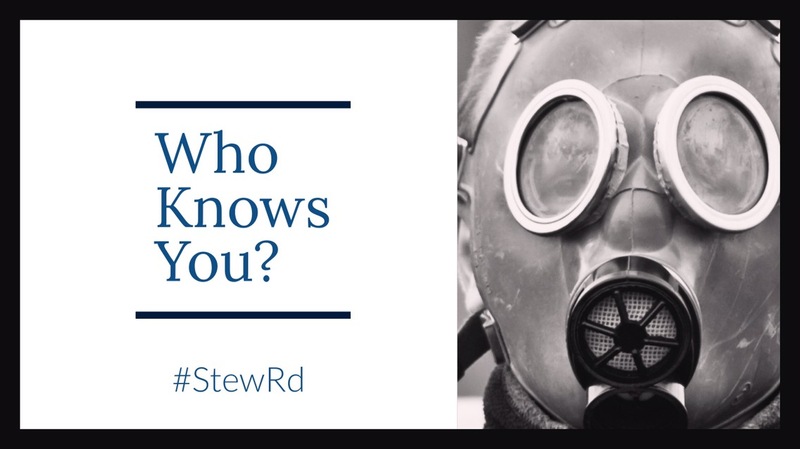 Who Knows You? – Stew Rd. The safeguard to being more “known” is being more known. When the Father does something great through you and people see you or know your name because of it, the safeguard is to allow yourself to be more known by and those who love you and keep you accountable. It is a great danger to be known by the public without being known outside the public eye. Who knows your weaknesses and struggles? Who is there to encourage you and call you out when necessary? Being unknown outside of the public eye means I’m completely fighting alone and until I am known outside the public guy I am at great risk of falling off the tight rope of “impress people” living. The root of “impress people” living is fear and having our security in impressing people instead of being validated by Father God. Pop culture, YouTube and Instagram fame have ingrained in us that notoriety must mean I am important and doing great things. Sometimes Father God, in His mercy, insures that we are protected from the pressures of notoriety until we make sure we are protecting ourselves with honest, open, accountable relationships. Often we perceive His protection as rejection. The other day, I believe the Holy Spirit dropped the thought to me that many “world changers” will often go completely unnoticed. Because their values are to make a difference not to make a scene or a name for theirselves. Notoriety means nothing in terms of effectiveness. So, who knows you? Are you still walking the tight rope of “impressing people”, public success and private failure? What if the drive to be known in public is really just a result of not authentically being known and accepted for who you are outside of the public eye? Choose “effective” over accolades. You will probably find that being “known” by some folks who love you and want your best is far more satisfying than the praise of strangers. “You are all children of the light and children of the day. We do not belong to the night or to the darkness.